I see. 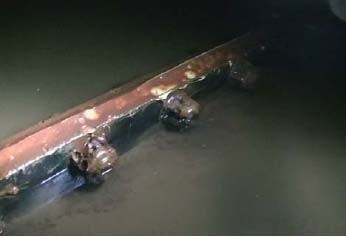 TEPCO may not have a water gauge in every 1,000-tonne tank assembled from metal sheets, rivets and rubber packing, but TEPCO has workers as a radiation gauge. I first learned of this information via the tweets (here's one from @macomelo) from people who either regularly attend TEPCO's press conference or watch the live cast of the press conference. TEPCO knew that the beta radiation exposure of workers had started to rise in July. So, TEPCO now thinks the contaminated RO waste water may have been leaking since July. The information was disclosed by TEPCO at a meeting of NRA's Working Group to deal with contaminated water at Fukushima I Nuclear Power Plant held in the evening of August 27, 2013. TEPCO examined the level of beta radiation exposure of a worker who was working at a radio relay station located at about 20 meters from the RO waste tank that leaked, and found that the beta radiation exposure had started to increase in mid July. The worker worked at the radio relay station for about 2.5 hours per day. TEPCO will examine the data for the previous months. TEPCO speculates that it was initially a minute leak but the amount gradually increased. There have been occasional rainfalls since mid July with 30 milliliter per day precipitation, and the leaked waste water was spread and absorbed in the soil with the rainfalls. NRA instructed TEPCO to conduct survey to determine the cause of the leak, and to dig observation wells in the areas around the leak to determine the spread of radioactive materials. Many say "TEPCO lied again". I'm more inclined to say TEPCO couldn't connect the dots, as I do not believe any more that TEPCO is smart enough to come up with a lie. The area where the relay station is located has been found with high beta radiation, up to 95.55 millisieverts/hour at 70-micrometer equivalent dose (to express the effect on skin and the crystalline lens (of the eye)). TEPCO is being heavily criticized for "skimping" on the tank patrol by not assigning enough workers for the patrol and not doing the patrol long enough. After looking at the spikes August 19 in beta radiation exposure for workers who were doing the "hasty" patrol, I'm not inclined to blame TEPCO that much. Maybe Minister of Economy, Trade and Industry and his subordinates can make themselves useful and show TEPCO a proper way by example to carefully examine the tanks daily that contain highly radioactive waste water. According to Minister Toshmitsu Motegi, former McKinsey consultant who doesn't look the part, leaks of contaminated water happening recently at Fukushima I Nuclear Power Plant are not caused by faulty engineering or lack of money, but by TEPCO and the workers at the plant not working hard enough. I guess lazy workers caused the land to sink, then. Fukushima I Nuclear Power Plant is sustained (barely, but nonetheless) by workers from TEPCO and affiliate companies, some of whom are paid as little as $100 a day to work in a highly contaminated environment. In addition to radiation exposure, they get the blame. As problems of contaminated water happen one after another at Fukushima I Nuclear Power Plant, Ministry of Economy, Trade and Industry is set to demand TEPCO on August 26 to set up a team dedicated to devising countermeasures against contaminated water. Minister Motegi will visit Fukushima I Nuke Plant in the afternoon on August 26 and give instructions to TEPCO. About the leak of 300 tonnes of contaminated water from a storage tank at the plant, Ministry of Economy thinks it was caused more by human errors on the part of TEPCO, such as insufficient daily inspections. The Ministry points out, "It's a matter of ability [of the workers] to respond at the plant, rather than technology or money." The Ministry plans to strengthen the oversight on TEPCO. 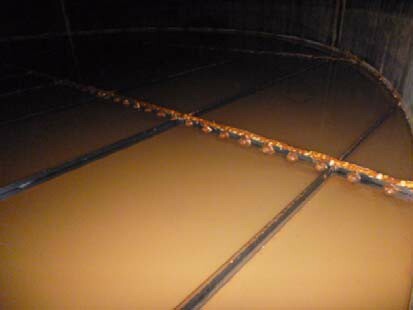 It is said that experts in contaminated water have little say within TEPCO. The Ministry is considering having general contractors with deep knowledge of how to deal with contaminated water in the team. What kind of joke is this? General contractors with deep knowledge of how to deal with contaminated water? It was one of those knowledgeable general contractors or two who drove down the sheet piles in the artificial soil and in the port, destabilizing the underground trenches and probably causing the release of contaminated water in the surrounding soil. 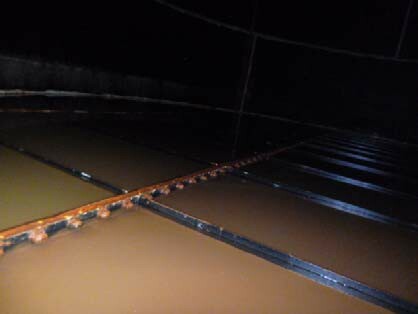 It was one of those knowledgeable general contractors who built the concrete platform for the RO waste tanks that weigh 1,000 tonnes a piece when full. The platform cracked and sank. Yet another general contractor did the injection of waterglass along the embankment made of artificial soil, which caused the groundwater to rise and flow over the underground waterglass wall. Motegi also says the national government (i.e. his Ministry, in particular Agency of Natural Resources and Energy whose official talked about his "assumption" of "300 tonnes of contaminated groundwater" leak) will be in charge. (OT) Russia's Foreign Minister: Syria Is Headed for Western Strike, "US and Allies on a Slippery Slope"
(UPDATE) UK's Guardian says warplanes are gathering in the UK base in Cyprus, and the UN inspection team was attacked in Syria. The U.S. and its allies are on a “slippery slope” to military intervention in Syria that will have “extremely dangerous” consequences for the region, Russian Foreign Minister Sergei Lavrov said. Any military intervention without UN Security Council approval would be “a gross violation of international law,” Lavrov told reporters in Moscow today. He ruled out a Russian military response. World leaders from Washington to Istanbul called for action to punish Syrian President Bashar Al-Assad for what they said was his use of chemical weapons as United Nations inspectors attempted to probe the allegations. Some Syrian opposition groups say 1,300 people were killed in the Aug. 21 attack in the Damascus suburb of Ghouta. U.K. Foreign Secretary William Hague said Britain is convinced Assad was behind the Aug. 21 attack and that there was agreement with the U.S. and France on the need to respond. Turkish Foreign Minister Ahmet Davutoglu said his country will join a “coalition” against Syria if the UN fails to act. The accusations are “nonsense,” Assad said in an interview with Russian newspaper Izvestia published today. “First they make an accusation and only then search for evidence,” he said. Russia, a veto-wielding permanent member of the Security Council which has blocked all resolutions condemning its Soviet-era ally Syria, yesterday urged the U.S. not to “repeat past mistakes” like the 2003 American-led invasion of Iraq. The U.S. and its allies attacked Iraq without UN approval after Russia, France and Germany refused to endorse the military operation to remove Iraqi leader Saddam Hussein. Russian President Vladimir Putin discussed the situation in Syria with U.K. Prime Minister David Cameron by telephone today, according to a statement on the Kremlin’s website. U.S. statements expressing readiness for involvement in Syria’s more than two-year conflict have set off “deep alarm” in Russia, Lavrov told U.S. Secretary of State John Kerry in a phone conversation yesterday, the Foreign Ministry in Moscow said on its website. There are “multiple indications” that the Syrian opposition staged the attack to incriminate Assad’s government, Lavrov said. Back in the days right before the US-led attack on Iraq after a group of mostly Saudi nationals slammed highjacked jets into the World Trade Center buildings, the Bush administration sent Colin Powell to the UN ("weapons of mass destruction" in Iraq) and Condoleezza Rice to the media (you don't want to see "mushroom cloud") to flat-out lie. Those were the good old days when enough people bought their lies. I remember Russia invited fishermen in Fukushima to relocate to Russian Siberia right after the start of the nuclear accident in March 2011 and to fish there, instead of trying (in vain) to make a living off the water being contaminated with radioactive materials from the plant. I don't think anyone took up the offer. According to Bloomberg News article, Russia reiterated the offer to help, just as they had been ready in 2011 if asked by the Japanese government. The request for help never went to Russia under the DPJ administrations under Naoto Kan and Yoshihiko Noda. For that matter, they never requested any help from any country, and they (practically) declined help when offered. TEPCO privately asked the US military for help in the first weeks of the accident, and was reportedly severely scolded by the Kan administration. The only incident I know of in which a foreign help (the US military) was accepted was to extinguish fire that broke out in Reactor 4 in March 2011. Russian officials say things have started to change under the new LDP administration. Russia repeated an offer first made two years ago to help Japan clean-up its accident-ravaged Fukushima nuclear station, welcoming Tokyo Electric Power Co. (9501)’s decision to seek outside help. As Tokyo Electric pumps thousands of metric tons of water through the wrecked Fukushima station to cool its melted cores, the tainted run-off was found to be leaking into groundwater and the ocean. The approach to cooling and decommissioning the station will need to change and include technologies developed outside of Japan if the clean-up is to succeed, said Vladimir Asmolov, first deputy director general of Rosenergoatom, the state-owned Russian nuclear utility. “In our globalized nuclear industry we don’t have national accidents, they are all international,” Asmolov said. Since Japan’s new government took over in December, talks on cooperating between the two countries on the Fukushima clean-up have turned “positive” and Russia is ready to offer its assistance, he said by phone from Moscow last week. ...The idea of pumping water for cooling was never going to be anything but a “machine for generating radioactive water,” Asmolov said. Other more complex methods such as the use of special absorbents like thermoxide to clean contaminated water and the introduction of air cooling should be used, he said. Japan can tap experts in France and the U.S. as well as Russia to help it tackle the situation at Fukushima, he said. The U.S.’s long history with atomic research, including the nuclear weapons site at the Hanford Engineer Works in Washington state, has provided expertise in cleaning up contaminated sites, said Kathryn Higley, who heads the nuclear engineering and radiation health physics department at Oregon State University in Corvallis. France’s Areva SA (AREVA) had designed a radiation filtration system that was used for several months at the Fukushima site as temporary cover before Tepco installed its own facilities. Japanese delegations have also visited U.S. nuclear waste sites together with CH2M Hill Cos., an engineering company based in Englewood, Colorado. This month a group of 17 Japanese companies including Toshiba Corp. (6502) and Mitsubishi Heavy Industries Ltd. (7011) formed an association, called International Research Institute for Nuclear Decommissioning, to support Tepco’s clean-up efforts. I don't think much at all about the industry association mentioned in the last paragraph above. It has been set up by the administrative guidance from Ministry of Economy, Trade and Industry and Agency of Natural Resources and Energy (the one who "assumed" 300-tonne groundwater "leak"), with nuclear and radiation scientists and experts on the panel, which includes scientists like Professor Sekimoto of Tokyo University. I remember Professor Sekimoto very well, who appeared on NHK non-stop right after it was apparent that there was something wrong at Fukushima I Nuclear Power Plant after the earthquake and tsunami on March 11, 2011. To the jittery nation, he spoke calmly and nonchalantly that the whole thing was no big deal, even after the explosion that blew off the top floor of Reactor 1. The METI consortium looks like an effort to defend the turf, so to speak, and probably to prevent, in an unofficial way, TEPCO from directly seeking help. Big money at stake in decommissioning the plant, although I doubt that the motive is all about money. It may be a smart move for Prime Minister Abe if he accepts the offer. Rosatom by the way is the one who's building a floating nuclear power plant. (UPDATE 8/25/2013) The layer beneath the concrete platform turned out to be not the amended soil with cement mixed in but concrete bits. Maybe that's where the RO waste water that leaked are sitting, at least part of it. The H4 area is about 8,000 square meters. That was what TEPCO's ad hoc press conference on August 24 was about, it seems. Three tanks including the one that is leaking were originally in the H1 area, closer to the in-the-ground water storage ponds. 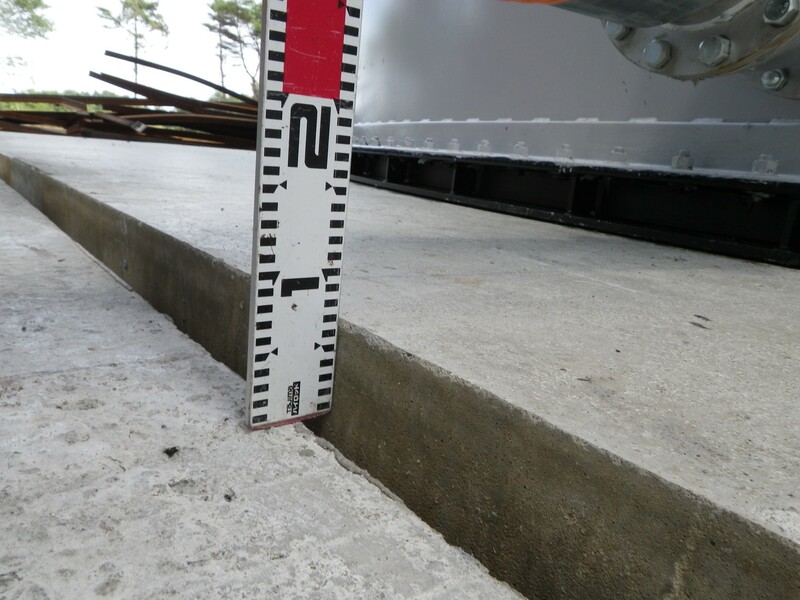 But when TEPCO conducted the test of the tanks by filling them with water in July 2011, it caused the land subsidence of about 20 centimeters which cracked the concrete platform. The tanks were then disassembled, moved to the H4 area, and reassembled in September 2011, tested and came online in October 2011. These three tanks were of different height from other tanks used for RO waste water, and were made by a different manufacturer (unnamed). TEPCO says it was unaware that the tank No.5 in H4 area, and two others in the same area, had been disassembled, moved and reassembled. H1 No.3 tank became H4 No.10 tank. H1 No.4 tank became H4 No.5 tank (that is leaking). H1 No.8 tank became H4 No.3 tank. H4 No.5 tank has been emptied, and TEPCO is moving water from the other two tanks as precaution. After the crack happened, the tanks were disassembled, and moved to the H4 area and reassembled after the soil was amended in the H4 area. As I showed the diagram of the tank in my previous post, the bottom panels are SS400 with 16-millimeter thickness, riveted together. Meanwhile, Mainichi Shinbun interviewed the chairman of a TEPCO subcontractor in Iwaki City in Fukushima who Mainichi claims is knowledgeable about how the contract for the tanks was made between TEPCO and the general contractor whom this chairman knows well. According to the chairman, it was just as "Sunny" said in his tweet (see my previous post): "Bad but Cheap", and quick. The chairman of a TEPCO affiliate company (in Iwaki City, Fukushima Prefecture) which participate in the decommissioning work said to Mainichi Shinbun, "Tanks were made on short construction period and as economically as possible. They were not made to last a long time." 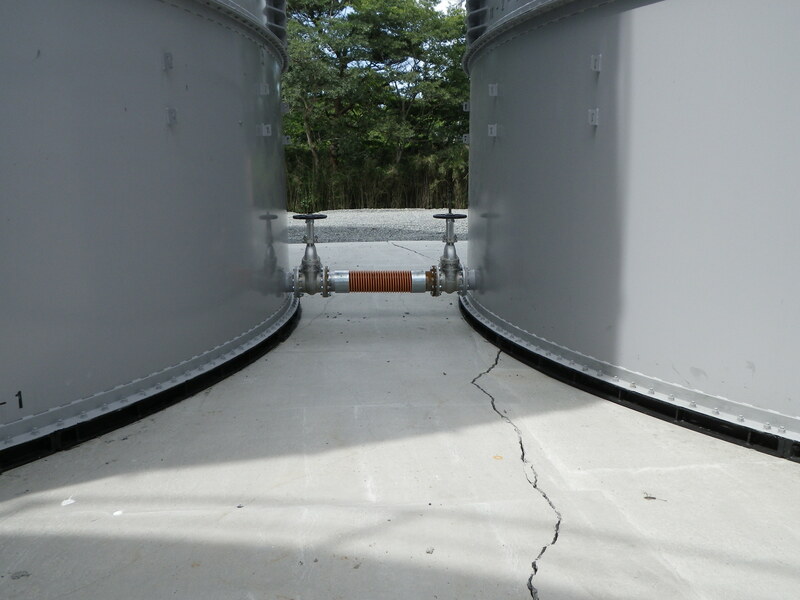 From what the chairman heard from TEPCO managers and the general contractor involved in the project, the tanks including the one that leaked this time had to be installed in a short time frame, and due to TEPCO's financial situation they were made as economically as possible. The tanks were assembled, and it was pointed out that hot summer heat may quicken the deterioration of bolts and packing [gasket] used to prevent leaks. The chairman said, "They are out in the open in direct sunlight. I assume the temperature of the contaminated water inside the tanks are higher than the air temperature. Given how they were built, the leak is not surprising. As far as the site managers (workers) are concerned, the situation [leak] has been factored in. TEPCO's engineering staff at the plant were concerned." Independent journalist Ryuichi Kino has repeatedly asked TEPCO in the press conference at every opportunity, "Are these tanks safe? Are you going to replace them with more secure, welded tanks?" He first asked the question when the first of these tanks (smaller, square tanks that were also assembled from steel sheets), which were to be used to store the water treated by Areva's co-precipitation system and Kurion's cesium absorption tower (and that was in June 2011). Kino kept asking the question for the next two-plus years, and TEPCO's answer at the press conference was always "We plan to continue to use them, we have countermeasures (like concrete platform and dam, sand bags, patrol by the workers) in place." It is understandable that TEPCO needed something quick in the early months of the accident. But not to have replaced the quick fix with more permanent solution is no excuse. If money was really the (only) issue, the company should have made that abundantly clear to the largest shareholder (the national government) a long time ago and explored the ways to raise enough money. But that's too much to ask from a company who couldn't speak up against the meddling Kan administration in the early days of the accident, couldn't transport the necessary batteries without proper permit on the highway, and put all the burden of dealing with the government on the plant manager who was in the middle of fighting triple core melts.